Being injured due to a criminal act in West Palm Beach means that you could be entitled to damages recovery from liable persons. You would likely want to speak with the best West Palm Beach crime victim compensation lawyer that you can identify. At the Wolfson Law Firm our West Palm Beach crime victim lawyers can help. Call us at 855-982-2067 for your free consultation today. The city of West Palm Beach is the county seat of the Palm Beach County, Florida. It is the oldest incorporated city in the Miami metropolitan area. 108,000 inhabitants live in the city. Even though it is located 68 miles north of Miami, due to the excellent infrastructure and urbanization between the two cities, it is considered a principal city within the Miami metropolitan area. Of course, these are just the most common crimes that our West Palm injury lawyers have encountered. However, if you or your loved one have gotten injured in another type of criminal attack, chances are that you may be eligible to recover for damages, so don’t hesitate to seek legal advice. Florida laws provide three recovery options to murder survivors and those injured due to criminal attacks in West Palm Beach. The first one lets you claim damages from the offender. If the law enforcement authorities could reach him, prove his guilt and convict him, you can recover from him easily. However, most criminals cannot or will not pay for the damages they cause. In many cases will likely turn to the other two options. One of them is recovering from the person or company controlling the premises where the crime happened. If they failed to prevent the crime due to negligent security, they may be liable to pay for your harms and losses. These parties could be convenience stores, banks, bars, shopping malls, and other commercial entities. They owe a duty of reasonable care to invitees, which means taking all the necessary steps for preventing foreseeable crimes. When they breach the duty due to negligence, they may be responsible for damages. 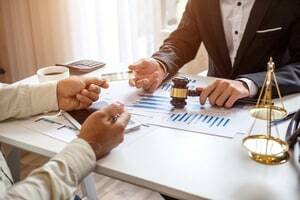 Finally, the Florida Bureau of Victim Compensation offers a straightforward, but limited, procedure for recovering some of your economic damages. If you meet the requirements set by the law, your case can qualify for compensation from them. They just ask for documentation to prove that you meet all the requirements. The West Palm Beach crime victim lawyers at the Wolfson Law Firm have been helping injury victims from South Florida get just compensation since 1963. We are standing by to help you too. Just call us at 305-285-1115 for your free consultation and remember that you’ll pay no fees unless we recover for you.